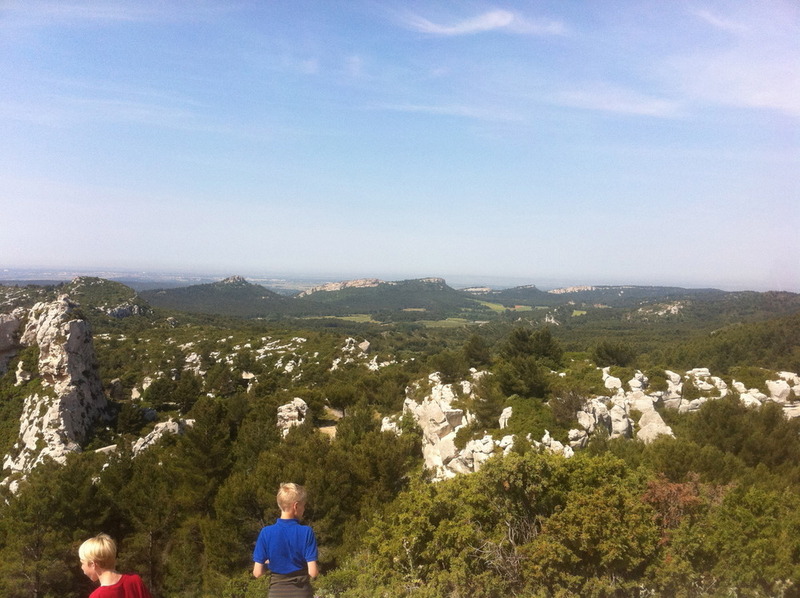 You may already know that Dad, Jonathan, and I are in Lamanon (southern France) visiting for a couple of weeks. As I’m here, I have been observing the rock formations and minerals. 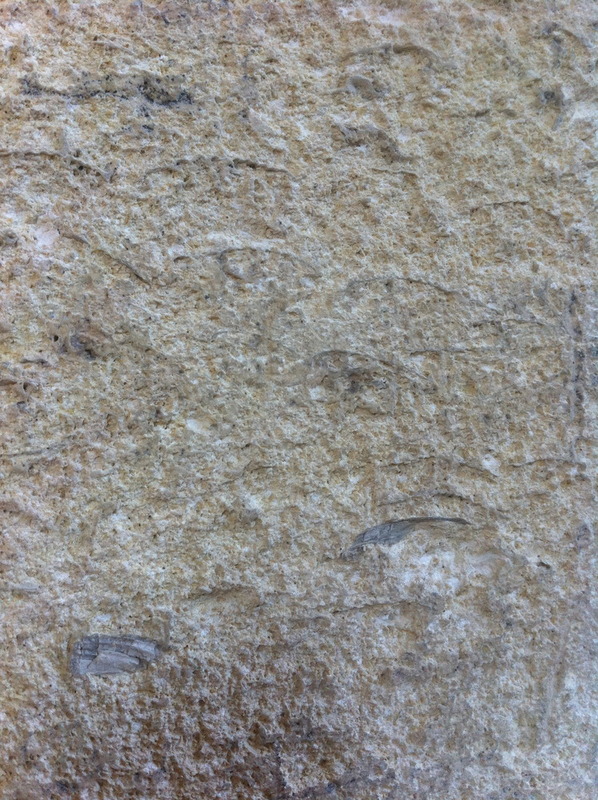 The formations are fantastic; (Photo 1) in the northeast of this village, it’s all sandstone. 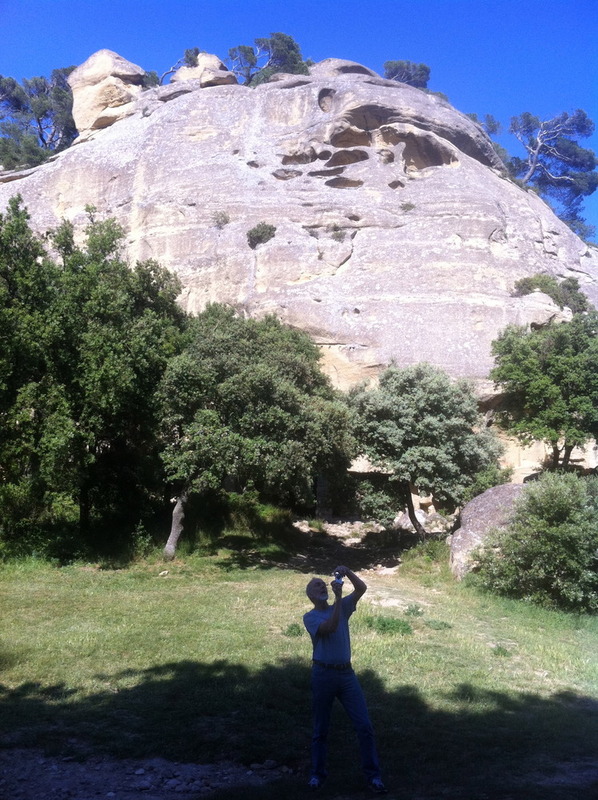 There, about a mile away, there are “Les Grottes”. 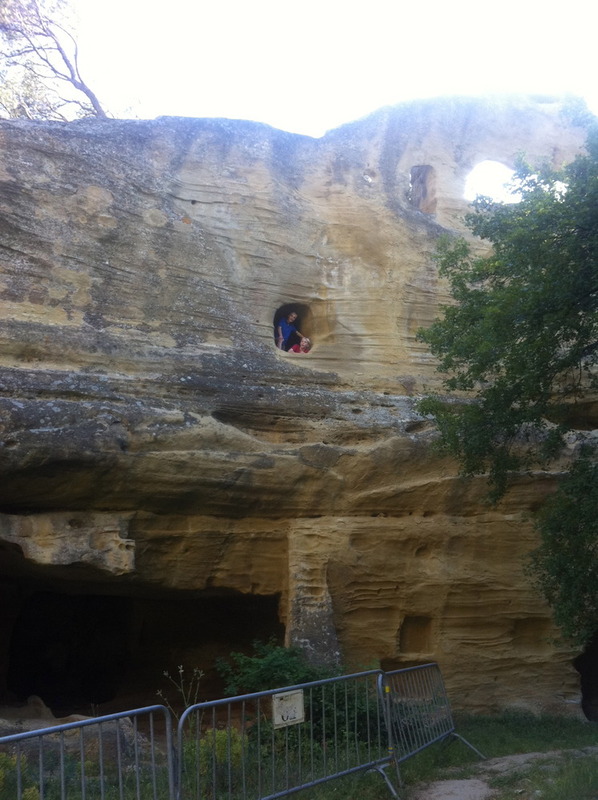 In medieval times, people lived in dug out caves in the soft Sandstone (photo 2). You can see in photo 3 a “three story building” (Jonathan and I are in the second story window). The second and third story caves are accessible from the the rear by a stairway carved into the stone. I looked for crystals growing in the crevices but found none. 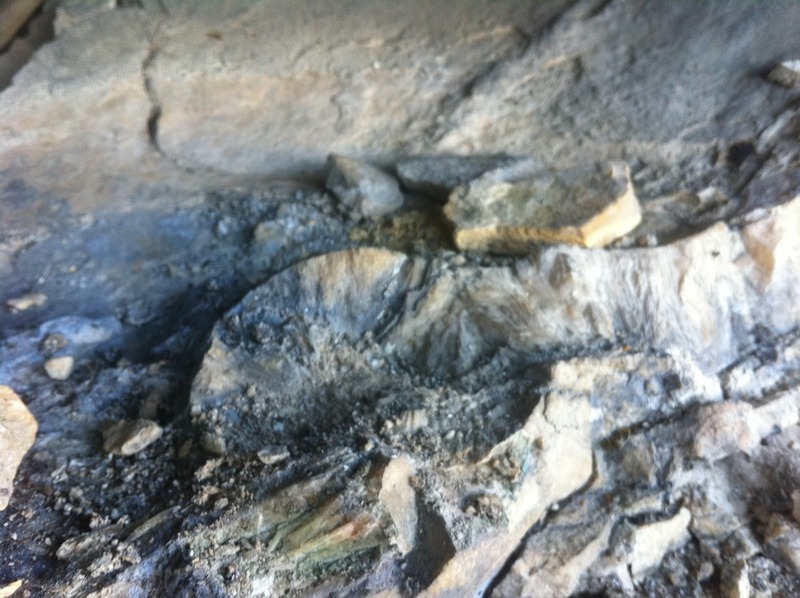 In the rest of the area, the rock is all limestone (Photo 4). In the city of Cavaillon, we hiked to a Chapel that is on the top of a.. wait, what do you call a mix between a hill and a mountain; too big to call a hill and too small to call a mountain? would you call that a “hountain” or a “mountill”? well, whatever it is, we hiked to the Chapel on top by way of a cobblestone staircase built years ago by medieval hands. 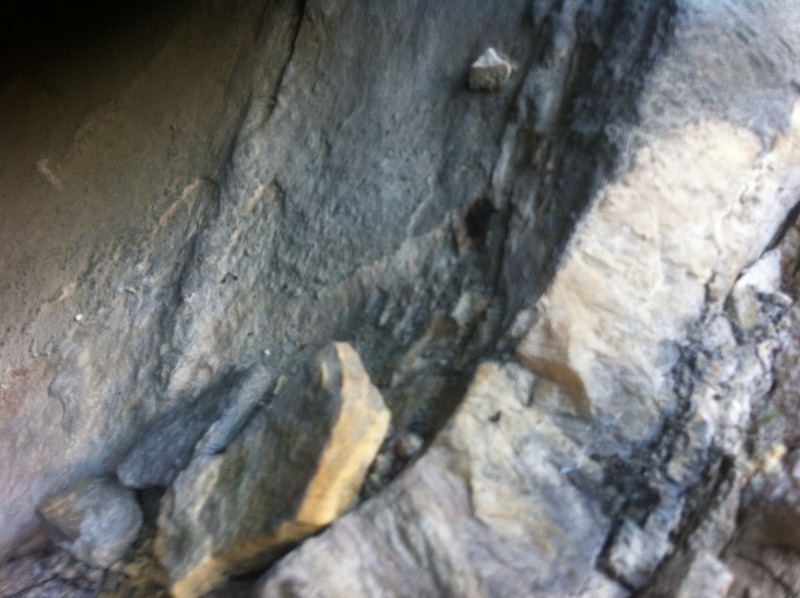 On the way down, as I was looking into on of the many cracks, I noticed some crystals (photo 5 and 6) growing. I collected some specimens and took them back. I think that it is either Calcite or Aragonite. 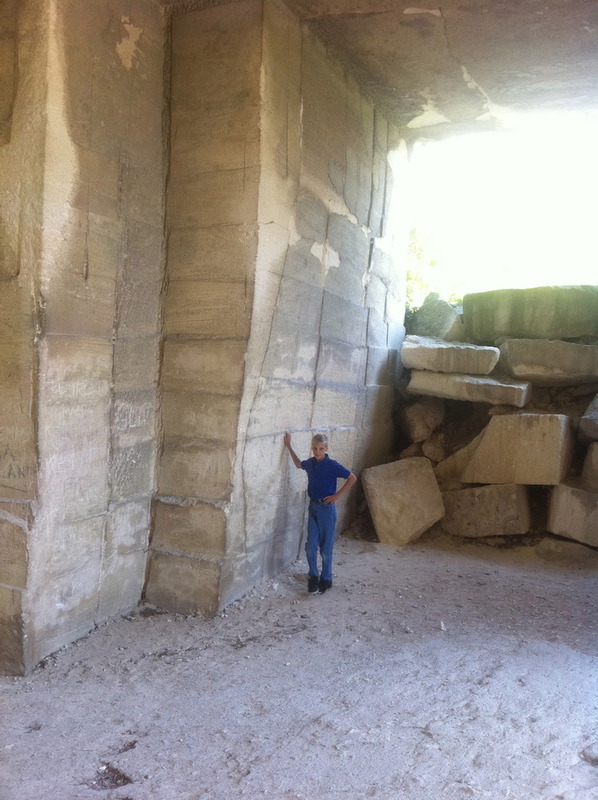 Later on, we visited a limestone quarry (photo 7). It was spectacular! there are tons of stone removed from the “hountain” (or “mountill”) creating caves probably big enough to fit two schoolbuses one on top of the other! I think they use Diamond blades to cut out the limestone. This entry was posted in Uncategorized on May 19, 2011 by Captain Belaq.